Guarantee Policy: Full prepayment required at the time of booking. Cancellation Policy: This booking is Non-Refundable and cannot be amended or modified. Failure to arrive will be treated as a No-Show and no refund will be given. General Policy: Please note that all children rates are based on sharing existing bed basis. Extra bed for children is not included in the room rate. For "Room Only" rate, breakfast is available for adult (12 years and above) at THB 650++, for children (4-11 years) at THB 325++ per person per day. Compulsory New Year's Eve Gala Dinner on 31 December is included in the room rate for 2 persons per room/bedroom. Additional guest is chargeable at THB 13,500++ per person and THB 5,000++ for child aged 6-11 yrs. 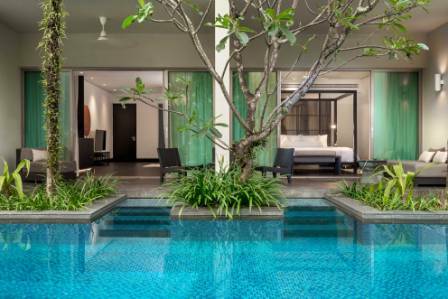 Featuring all of the services and style offered in every room at Twinpalms Phuket Resort, each room has been thoughtfully designed for seclusion, comfort and a connection to the tropical environment, with large private balconies overlooking gardens and pool. 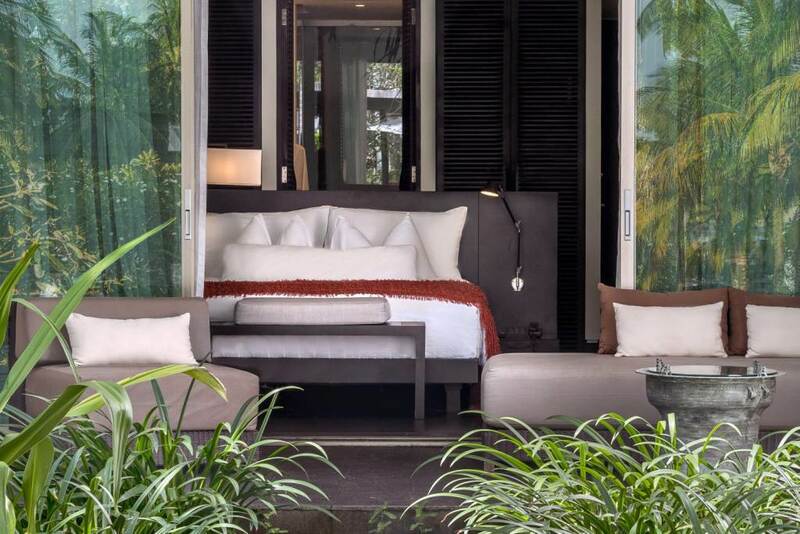 Designed to lift your spirits, these rooms offer a private retreat of luxurious space, yet still a connection to nature with large private balconies giving views over the resort gardens and pool. 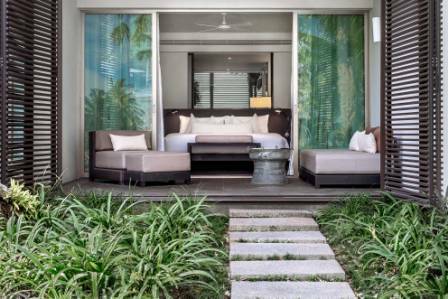 Enjoy all of the Twinpalms Phuket Resort features, services and style, as well the zen garden scenes from the bathroom conservatory windows. Full in-room entertainment facilities are provided, including a 42″ LED TV. 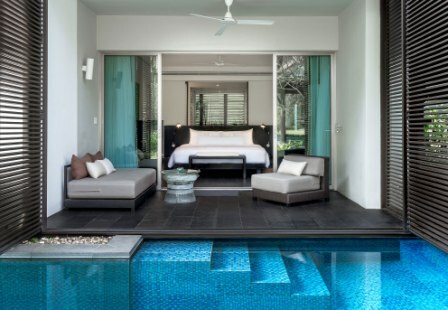 Each of these eight Lagoon rooms provide space, comfort and easy access to the cool lagoon pool, in addition to the inspiring features, services and style offered in all rooms at Twinpalms Phuket Resort, you swim away from your private balcony into the unique lagoon pool. Conservatory windows in the bathrooms showcase the private zen garden. A full complement of in-room entertainment facilities includes a 42″ LED TV. 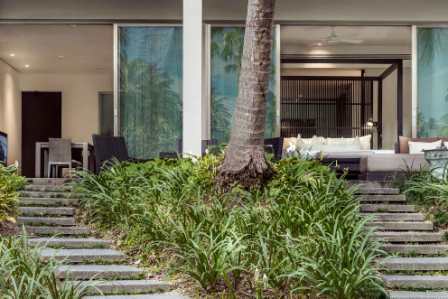 Enjoy complete privacy in one of our three 102m2 Palm Suites, with large private balconies and views across the garden and pool keeping you connected to the serene tropical surroundings. Bathrooms feature conservatory windows facing a private zen garden. An abundance of in-room entertainment choices include a 46″ LED TV in the living room and a 32″ LED TV in the bedroom. Stay cool and refreshed in the large lagoon pool, only steps away from the private terrace of the only 102m2 Lagoon Pool Suite. 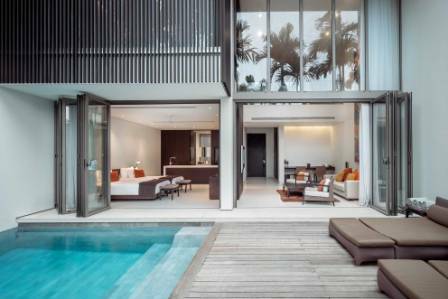 Modern meets tropical with a fully equipped bathroom featuring conservatory windows facing a zen garden. Complete audio/visual entertainment choices include a 46″ LED TV in the living room and a 32″ LED TV in the bedroom. Each of the 7 Duplex Pool Suites features over 190m2 of thoughtfully designed living space, each suite features a large terrace and private garden pool. Features: Private Host – 385 thread count Bed linen – Fine Wine Cellar and Cuban Cigar Humidor (on request) – Premium coffee machine – Latest Audio & Visual facilities. Duplex, with Double Height Ceiling in the living room & entrance hall – Separate Living & Dining areas – 46″ LED TV in living room – 32″ LED TV in bedroom – Stereo & Bluetooth connection. 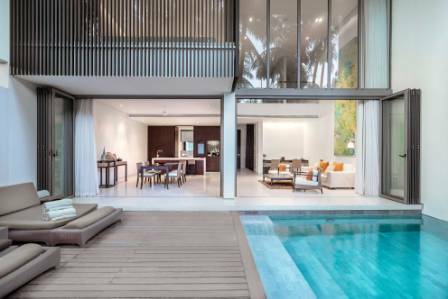 Each of the 3 Duplex Pool Suites features over 190m2 of thoughtfully designed living space, each suite features a large terrace and private garden pool. Features: Private Host – 385 thread count Bed linen – Fine Wine Cellar and Cuban Cigar Humidor (on request) – Premium coffee machine – Latest Audio & Visual facilities. Duplex, with Double Height Ceiling in the living room & entrance hall – Separate Living & Dining areas – 46″ LED TV in living room – 32″ LED TV in each bedroom – Stereo & Bluetooth connection.